Year on year, home sales rose almost 20% across the GTA in October. Prices rose 7%+ in the same period, with the average sale price sitting at about $540,000, up from $502,000 last year – the greatest gains were seen in the luxury real estate market, which many economists have touted as “recession proof”. It’s expected that home prices will continue to climb slowly through the winter and sales will continue, as long as interest rates remain low. Even if you’re sleeping on $7,000 pillows in a luxury hotel it can be hard to get a good night’s rest, especially when you’re traveling! Frequent travelers know travel induced insomnia is no joke, but how do you get over it? After all, sleeping isn’t a luxury – it’s a necessity! Sleeping in an unfamiliar environment is one the leading causes of insomnia, so it’s important to know that you’re doing all you can do to get a good night’s sleep… even if it means you’re a difficult customer when you’re traveling. A couple of months ago a 210 square foot home sold for $165,000 in Toronto (after a discount, it was originally priced at $220,000) – affectionately referred to by its neighbours as “the shack” – causing a huge uproar across the GTA. This isn’t the most wild listing out there, either… which begs the question: should you get into a bidding war over a high priced shack or should you commute instead? Have you ever wondered what your home looked like when it was built? Who has lived here, is there any historical significance? Maybe you want to learn more about the home you’re already in or maybe you’re trying to learn a bit about a luxury home you want to buy – but how?! Here we’re going to show you how to research the history and style of your home. Let’s face it, when it comes to luxury homes there’s a bit of an “umami” factor. Wealthy homebuyers in particular value prized locations – just as much as they do the square footage of a home or condo, how many bathrooms and bedrooms they have, and even how much roof terrace and patio space is available. 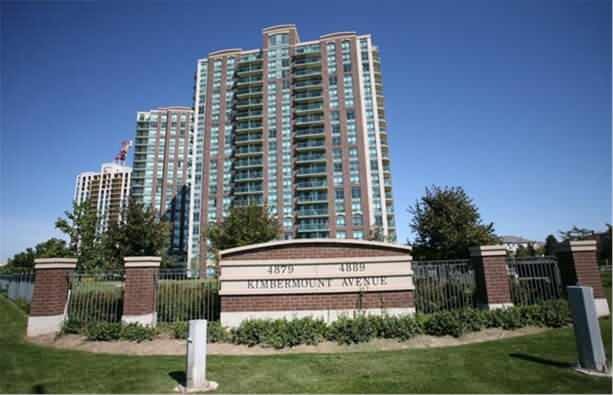 Buying condos in Oakville (and other Oakville real estate) is all about choices. If you just want a low maintenance lifestyle or if you want a beautiful panoramic view over Lake Ontario, you’ll find it here. It’s important not to start looking for a condo before you consider exactly what you need. It’s easy to get stuck in a cycle of emotional buying and bidding, but here we’re going to go over everything you need to know about buying condos in Oakville, so let’s get started. Let’s face it, winter travel is rarely easy – but this season is promising to be a bit trickier than normal! With fewer flights running across North America, the usual snow storms and overbooked holiday flights with outrageous fares, it’s important to know when the best time to travel is! Bill Goodale of the Goodale Miller Team and his wife Kemi-Lee were proud to be Gold Member Sponsor at the Silverhearts Association Second Annual Saturday Social Fundraiser last week at the OE Banquet Hall & Conference Centre in Oakville. SASS is a new twist on the fundraising gala. Geared towards 20-30 year olds - tomorrow's leaders, home buyers, and consumers – it’s a fun filled evening of hors d'oeuvres, music and dancing, plus a silent auction. The event raised over $19,000.00 for Sarcoma Cancer research facilitated through McMaster University Health Sciences. This past Saturday November 2 Kathy Hadall and Bill Goodale of the Goodale Miller Team at Century 21 Miller Real Estate Ltd. were in attendance at the 22nd annual OTMH Candlelight Ball in support of the Oakville-Trafalgar Memorial Hospital (OTMH). This annual event took place at the Burlington Convention Centre and raised over a million dollars to help fund the purchase of essential equipment for the Oakville hospital. If you type “Pickleball is” into Google you’ll get phrases like “Pickleball is fun”, “Pickleball is addictive”, and “Pickleball is easy to play”. But what the heck is Pickleball and why are so many people getting into it? 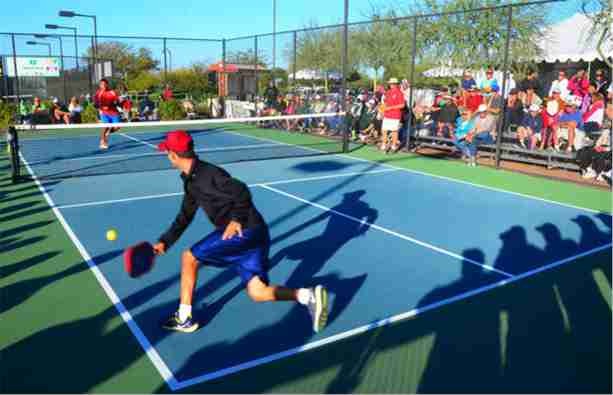 Pickleball is a fun mix of tennis, ping pong and badminton; a lower impact workout on a smaller court means it’s an ideal workout for people of all ages and fitness levels.